The Internet is a magical resource for just about anything, and that’s especially true for guitar players. Whether you play rock, country, blues, jazz, or classical, regardless of your skill level, the Internet is loaded with great guitar lessons you can use to perfect your playing capabilities. While you can find lots of lessons that cost many, some of the best online guitar lessons are absolutely free and at your disposal 24-7. To start with, there are video web sites like Youtube. These video sites are an absolute treasure trove of guitar goods. You can find videos on everything from the basics of how to care for your instrument to playing techniques for beginner and advanced players. There are videos that specialize in jazz, rock, and country, videos on fingerpicking styles, videos that examine the blues in detail, and videos that teach you how to shred like some of the fastest players on earth, You name it, you can probably find it on Youtube. The best part of it all is that these free videos are at your disposal any time you want them, and you can refer back to them whenever you have difficulty grasping a concept. Another great resource for some of the best online guitar lessons are the many guitar tab web sites on the Internet. Not only do these web sites offer free tabs to some of your favorite songs, they often provide tab lessons that illustrate scales, technique exercises, and instructional breakdowns of the most classic songs in music history. 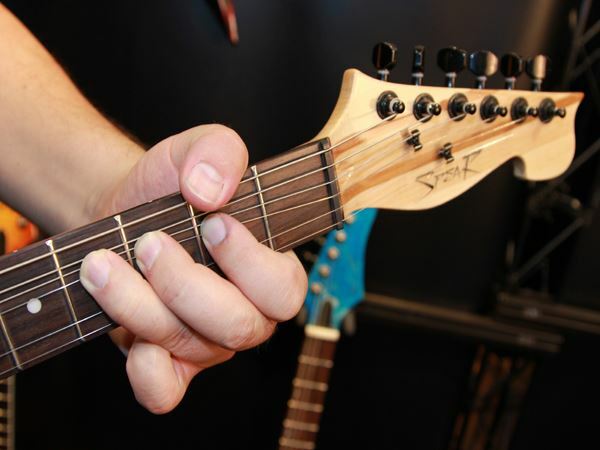 This is a great way to learn how music is written from the standpoint of a guitarist. An overlooked place to find the best online guitar lessons is from some of the websites that sell guitar instructional products like videos and books. This takes a little research, but places like Twitter, and ads on Facebook can often be helpful locating these places. Web sites that sell their own guitar instructional products often put samples up that you can use. The samples are geared to get you to buy the product, but you don’t have to by anything if you don’t want to. If you like what you see, however, you know where you can get more of it. These web sites usually have blogs that post helpful articles too, so do a little exploring and you’ll be surprised with what you come up with. The best online guitar lessons are the ones that work best for you. Make a list of the web sites you visit and bookmark them. Use them to create a personalized guitar course that can help propel you to another level of playing. Online lessons are good but the really juicy stuff is in our guitar courses in DVD.